Nothing in life should be taken for granted, last of all nature's bounty. At this resort you can truly enjoy all elements that sustain life -- sunlight, fresh air, good food, a flowing river, misty mornings etc. 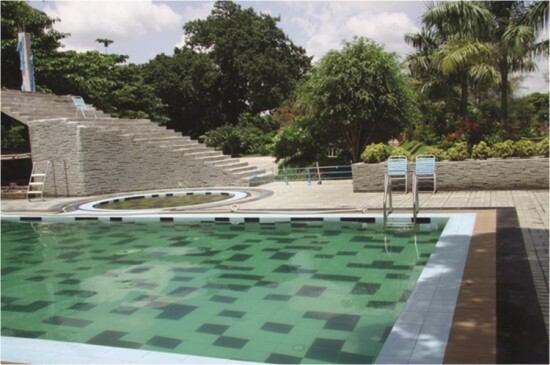 The resort is uniquely located along the bank of the river Padma at the eastern approach of Harding Bridge tucked away from the hustle and bustle of the city, yet within close proximity, only about 100 km away from Dhaka. It is situated at the backdrop of lush green Bangladeshi villages with a breathtaking view of legendary river nestled among forest greenery in a secluded site. The spot can be considered one of the most scenic in the country. The comfort and charm of the resort complements the natural beauty and wonders of the surroundings. The bridge looks as majestic as the river itself. Pakshi Resort is made up of twenty bedroom luxury suites. Rooms are well decorated to make you feel that this is your home away from home. All suites are designed and decorated with the exotic flavour of contemporary Bangladeshi and five star hotel tastes. The cottages, spread over 36 bighas of land, are in complete privacy and each cottage is surrounded by beautiful, landscape gardens full of flowers and fruits. If you are lucky you may even pick fruits from the backyard. Pakshi Resort in this exotic, tropical region is the perfect escape. It is like a dream made real. It provides the ideal destination for a family getaway. The place and facilities are also ideally suited for all type of celebrations, family get-togethers and corporate gatherings. It is a place that has the sprit to weave the weekend flavour into everyday of the week and leave your soul refreshed and recharged. You can also relax by the side of the swimming pool, which is surrounded by a spacious terrace ideal for lazing in the sun. Guests wishing for more physical pursuits can also engage in a game of tennis, basketball, badminton, volleyball or other indoor and outdoor games. In the evenings, a team of performers showcase cultural shows, tribal dances, folk songs, ghazals etc. The multi cuisine restaurant at the resort has been designed to cater to people with different tastes. Their menu includes delicious items from western, oriental and Indian. There is a special menu for children and vegetarians. So if you are looking for a weekend's getaway this winter with friends and family, or looking to arrange a corporate meeting amidst the scenic beauty of the countryside, Pakshi Resort is the place to be. PIZZA Hut has launched their newest item along with 16 other on their menu. The launching was of the ever-so-waited-for cheesy bites. The difference in the pizza compared to every other pizza is that the crust is twisted into little bits filled with cheese. The event had the presence of celebrities Bonna Mirza and Sharmin Lucky and singers Tishma and Topu. Akku Chowdhury of Transcom Foods Limited had spoken about how he felt so much pleasure in launching the new items with the presence of people so special to him. Bonna Mirza said she was pleased with every new item that Pizza Hut had brought into Dhaka and once more; they had exceeded her expectations with this new dish. Sharmeen Lucky was happy with a vegetarian item brought into Pizza Hut for people who don't eat meat. Topu and Tishma were both very pleased with the new addition to themenu and said that it's something new and exciting for the people in this country. The long awaited cheesy bites have been launched on the 11 November, 2010. Akku Chowdhury hopes to get just as many pleased eaters like in the past when they had launched every other one of their items. Cheesy bites is, undoubtedly, unlike anything you've ever eaten before. So, lookout pizza lovers, because things are about to get really cheesy! This Eid, fashion house M-Craft has decked their showrooms with attires specifically made to suit the tastes of Dhaka women. Their new line consists of katan and net saris and shallwar kameez sets. Bright colours dominate the collection, with emphasis on appliqué, embroidery and karchupi. Exclusive cotton and silk shalwar kameez sets can be found at prices between Tk 1000-3000. Available at all M-Craft showrooms. Bangladesh's leading fashion and makeover salon -- Farzana Shakil's Makeover Salon Ltd -- is celebrating the bridal season this November and December. Attractive discounts along with free makeovers are available for the bridal entourage. With 'Complete Wedding' Package, which includes holud, bridal and walima makeup, free makeup for one person worth up to Tk 2300 is being offered. 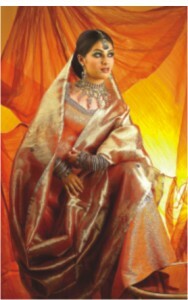 A bride can also select a day to avail the best makeup at a discount price under the 'Pick My Day' package. For the first time in Bangladesh, a pre and post-wedding package has also been introduced. “We have seen how a girl can prepare herself for the most important day of her life and introduced these two packages," says Farzana Shakil. Their 'lifestyle package' will enable you to get a complete set of services through which a bride will get the best preparation for her wedding day. "There are seven different services, which a bride can take in a span of 30 days, before the wedding day, at a very attractive, discounted rate. Their 'After Wedding' package has been introduced keeping in mind the extreme pressure that the skin undergoes because of the heavy makeup used during a wedding week. This package will keep the skin smooth as silk and also comes with additional regular services that every girl needs," Farzana Shakil explained. There is another interesting package, 'Party Pack' which has been designed for people attending wedding parties. A total three-day party makeup is offered at a super discount -- a perfect package for newly weds, and women in general. The salon is also offering a “Friends & Family” package that is tailored to offer discounted rates for members of the family who will avail services along with the bride. For additional information please contact 9116057 (Dhanmondi) and 8812172 (Gulshan).